Beautiful and chic, Flat Quinceañera Invitations show off her unique personality and get guests excited for the big event to celebrate you and your milestone! Add an extra special touch to your celebration with Magnetic Quinceañera Invitations that still reflect the vibrant colors and personality of the birthday girl. I ordered invitations for my daughters quinceanera. When I ordered they said they would be delivered around the 20th of May. I was so surprised to receiving them on the 17 of May less then 7 days. Fast service and delivery with wonderful results I would recommend to all my friends. My daughter selected a beach theme for her quinceanera party (similar to sweet 16) but I had not had any luck finding an appropriate pattern for this type of event that also suited the theme. Luckily, I found the beach themed wedding invitations and was able to customize them so that they would fit the theme and event. The invitations arrived on time and are exactly what we expected. Thank you!! Invite your guests in style! As friends and family honor your daughter's transition into a beautiful young woman, give her milestone an extra special start with personalized Quinceañera Invites. 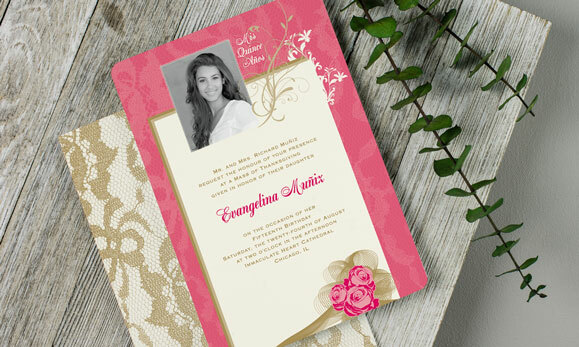 Beautiful and unique, Quinceañera Invitations embrace your cultural tradition while showcasing her personality and style. 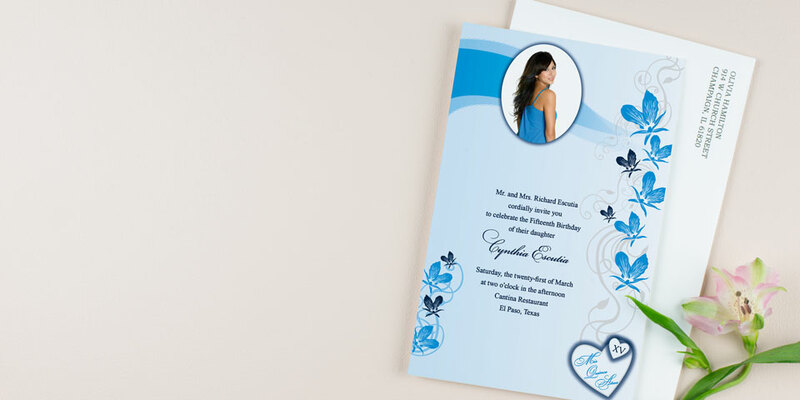 Browse our collection of Quinceañera Invites for all types of parties. Whether you're having a big gala or smaller gathering, choose from dozens of fabulous quince invitations that showcase the birthday girl's style. 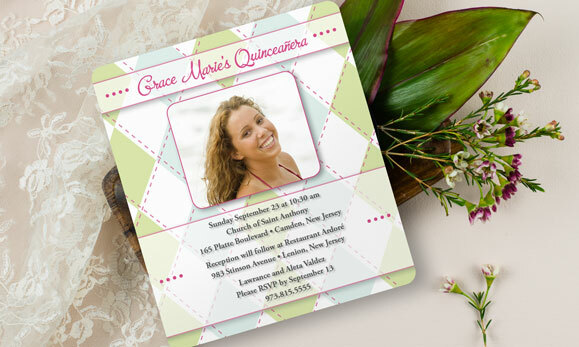 From elegant quinceañera invites to modern quinceañera stationery designs—personalize any design to match your theme!